A chicken coop or chicken tractor from Amish Structures offers a safe, yet stylish way to keep track of your chickens. Our Amish made chicken coops and tractors are expertly crafted using the finest quality wood by our experienced local craftsmen. 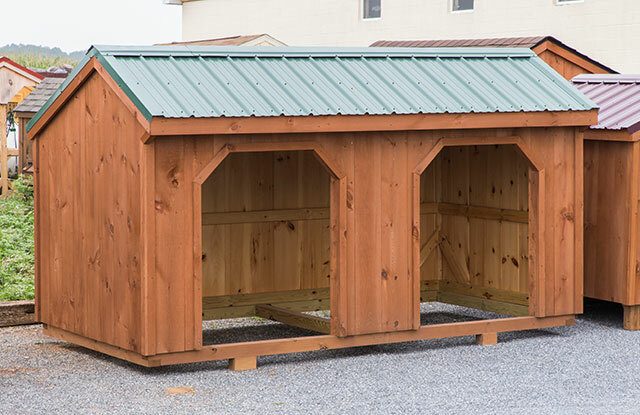 These sturdy wood chicken coops will keep your chickens dry in bad weather and safe from predators. Our wood coops also have easy access doors to retrieve eggs and to perform regular maintenance duties on the coop. In addition, the coop surfaces are easy to keep clean. Our coops come with chicken doors and screen doors as standard. Other options for coops include rollaway nesting boxes, litter trays, automatic chicken doors, and screens over the windows. Window screens are very helpful for chicken owners in rural areas. Coop floors can be protected with a glassboard option to make cleaning and disinfecting the coop easier. 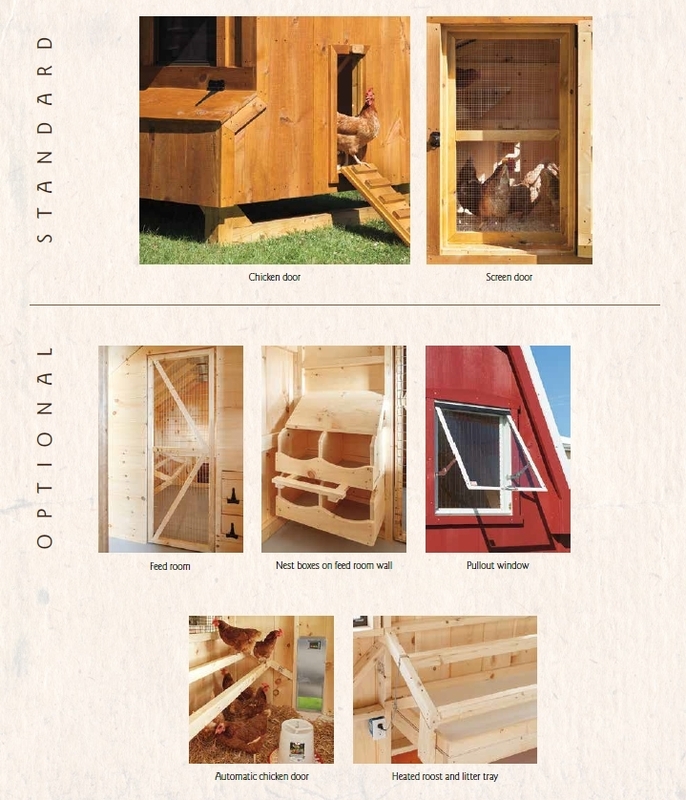 You can choose from a variety of options for coop design including an A frame design, as well as a moveable chicken tractor option. Chicken tractors are helpful if you want your chickens to be able to move around your yard, but still be protected from predators. Some chicken owners prefer stationary coops rather than a moveable coop. 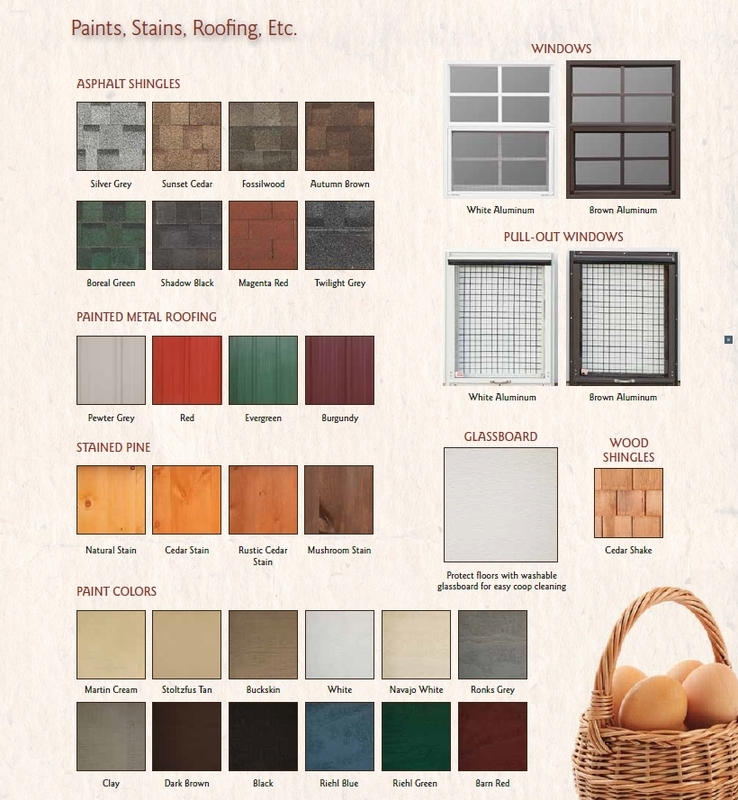 Coops come in a variety of colors; you can choose from asphalt shingles, wooden shingles or tin roof options. Window choices include brown and white. If you live in the New Jersey or Maryland area, be sure to stop by our local office to see our quality coops for yourself. We have chicken coops in all sizes and budgets to fit your family’s needs; our largest coop can house up to 32 chickens! It doesn’t matter whether you have a large flock or just a few hens in the backyard, you’ll love our coops. With so much selection, you’re sure to find the perfect coop to keep your chickens happy. Contact us today to get an Amish made chicken coop that is right for you!